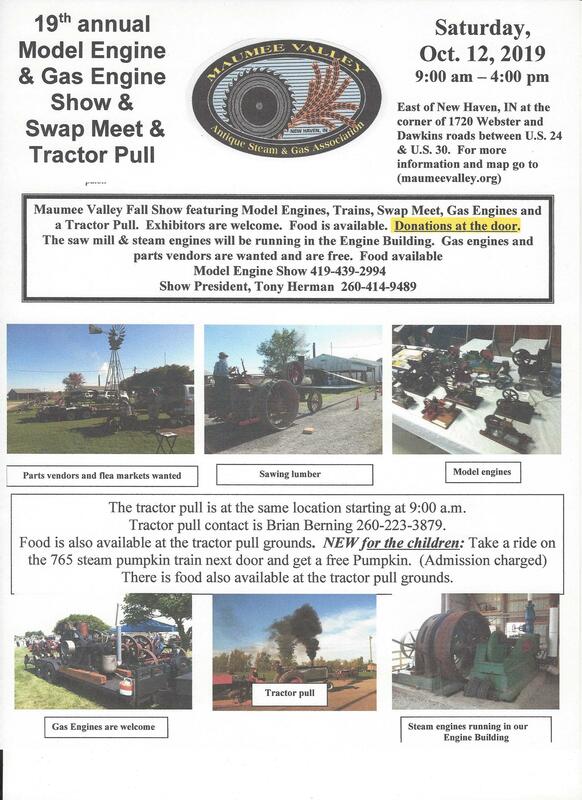 Maumee Valley Antique Steam & Gas Association sponsors three major events a year. A summer show, quilt show, and a fall Swap-meet. 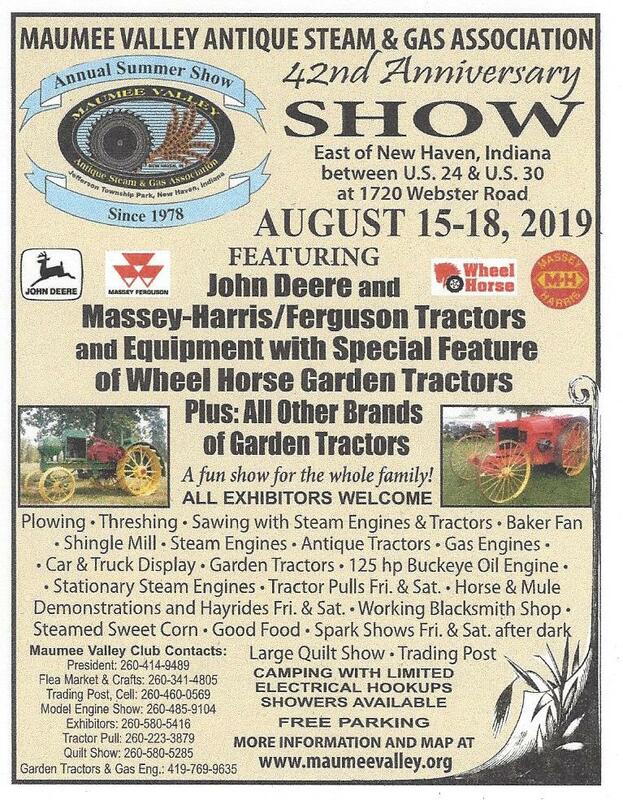 The quilt show is held during the summer show. And all three events take place at Jefferson Township Park, New Haven.